Each semester, Career Services hosts workshops to teach students relevant skills for entering the job market. The workshops range from lectures on competing in the job market to practical workshops to buff up a resume. According to the Career Services web page, the next workshop, “Interviewing and Accepting the Job Offer,” is on Feb. 13 at 5:30 pm and Feb. 16 at 9 am. 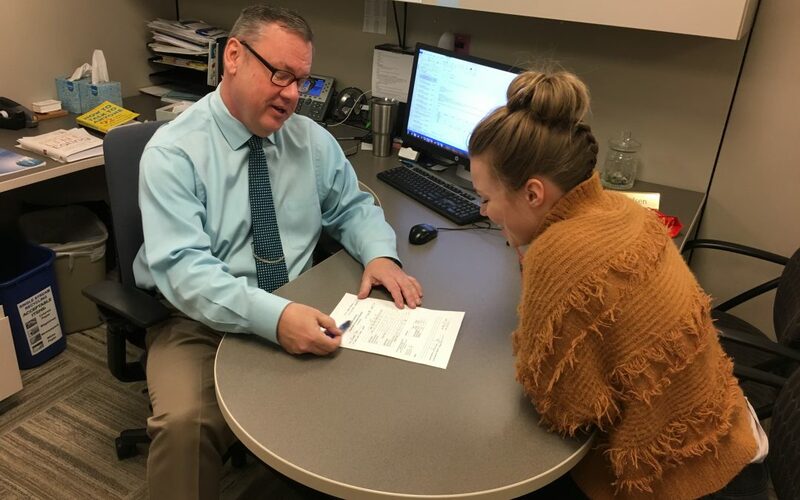 “(The interview workshop) is just tailored for students that are seeking employment somewhere after graduation, or just to have the interviewing skills that they need for when they interview with a company,” said Rob Ahrendsen, the career preparation coordinator. Ahrendsen said the interviewing workshop is an important part of the Career Services workshop series because it builds off of previous workshops and focuses on verbal skills that can be useful long after getting a job. He said other workshops focus on choosing an occupation based on personal skills and interests, competing against other applicants in the job market, and writing skills for resume and cover letter writing. “The resume gets you in the door, but the second step is the interview,” Ahrendsen said. The interviewing workshop gives advice with the assumption students interviewing for a job will already have a fundamental knowledge of skills taught in the other workshops. Ahrendsen said students attending the “Interviewing and Accepting the Job Offer” workshop can expect to learn about common interview questions and how to answer them. The workshop will address why certain questions are asked, what they mean and what interviewers expect from your answers. Additional information on the interviewing and other workshops can be found on the Career Services web page. Under the “Career Preparation” tab, there is a workshop link. This page includes six videos highlighting the skills taught by each career workshop. According to the “Interviewing & Accepting the Job Offer” video, some important things a job seeker should focus on in an interview include talking about your skills, solutions you’ve found to past problems and how you overcame difficult circumstances. The Career Services web page also offers workshop study packets that provide 11 to 20 pages of practical advice to prepare students to find and maintain good jobs.